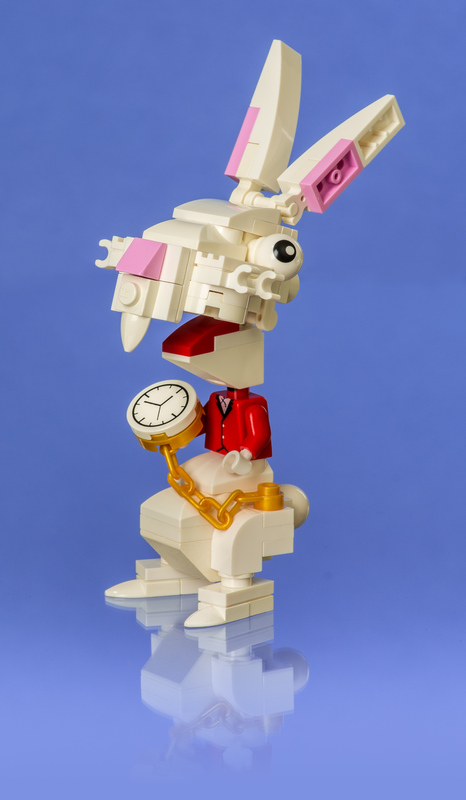 Bobble head puppet of the White Rabbit for my forthcoming LEGO Alice in Wonderland video. In the actual video I’ll most likely just give the rabbit regular minifig legs in order to allow it to walk easier during animation. The first draft of the rabbit’s head used transparent red tiles for eyes, but unfortunately made him look too demonic like a skull or the Saw puppet.